One in four children have been bullied in the last 12 months. It is a major issue for young people, made worse by the fact that bullies can now reach them at anytime through digital channels. Bullying at school is naturally a concern for parents. But you can assist your child to navigate and prevail against the emotional onslaught of bullies. In the modern world, bullying doesn’t simply mean physical violence or name-calling in the school yard. There are many ways bullies can reach their victims now. 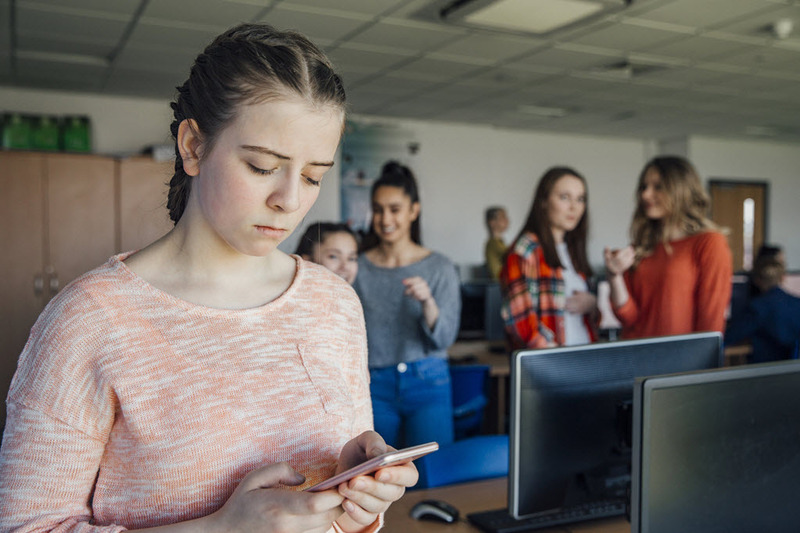 Cyberbullying means children can be hurt socially, psychologically or even physically through their digital devices – both at school and at home. Kids are going to be kids and that means they are going to tease each other at times. Where is the line, though, when teasing becomes something more malicious? Typically, teasing occurs between friends and is good-natured and friendly. It is usually reciprocated and the child’s friend would stop if they were asked. Bullying has a different dimension. It is deliberate and repeated over and over. There is a measure of influence, control and intimidation and it is designed to cause distress. A bully is unlikely to stop just because they are asked. There are a number of telltale signs your child is being bullied, from physical marks to depression and withdrawal. Children often won’t report bullying because they are either ashamed or they fear the bullying could become worse. Approach the issue calmly and offer comfort and support. Praise your child for their strength and tell them the stats, reinforcing the fact they are not alone. This can help build resilience as isolation is a key tactic of a bully. Advise your child’s teacher, school principal, counsellor or ideally all three. They are in a position to monitor the impact and potentially manage the bully. Cyberbullying goes on behind closed doors and can impact a child 24/7. The same measures of comfort and support should be offered, but there are specific tactics you can teach your children to empower them on the internet. Firstly, discourage them from feeding the trolls. Any form of response or retaliation (even a simple emoji) gives the bullies precisely what they want. Take screenshots of the interactions as they can be used as evidence later. Report these interactions to police if they are of a threatening nature. If the bullying is taking place in public (such as on a Facebook thread that everyone can see), block the perpetrator and report the actions to Facebook (who can remove the content). Switch off for a while – the bully can’t land a punch if the victim leaves the digital playground.